Your Liebherr EWTdf 1653 Vinidor is guaranteed to be the lowest price in the UK. The price includes delivery and a digital hydrometer. The EWTdf 1653 has an insulated glass door perpared for cabinet door or stainless steel front. It has a storage capacity of 30 bottles comprised of 2 independent zones. Of it's type the Liebherr EWTdf 1653 Vinidor is the most energy efficient with an A energy rating. This special range of wine cabinets can either accept furniture overlay panels (supplied by your kitchen retailer) or the stainless steel overlay accessory. The digital hygrometer helps you to monitor the humidity level inside your wine cabinet. What would be the ideal level of humidity? Different wine experts share different opinions. To be on the safe side we at Cavepromotor recommend a range between 50% and 75%. Keeping the level too low will affect the cork, too high will result in moulded labels. 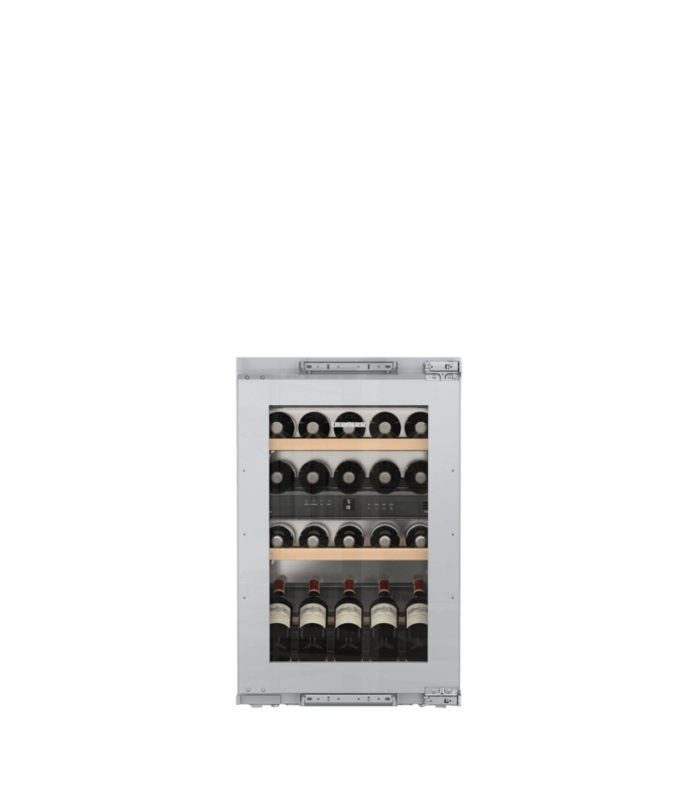 Every wine cabinet has a climate indication and for the Liebherr EWTdf 1653 Vinidor it is: SN-ST.